The social media giant WhatsApp recently announced that it will stop serving older smartphones by the end of this year. The list of smartphones includes iPhone, Nokia, BlackBerry, lower version of Android and Windows Phone 7 at the end of this year. So the users having older smartphones has to upgrade them selves to the newer phone to get served by WhatsApp. WhatsApp is the most popular messaging app at the current stage. The company recently rolled out its video calling feature. The company has given reason that these devices do not support the kind of capabilities they need to expand the app's features. Not so many users will affected by this decision as the list includes too lower version of smartphones. Android and iOS users will not be affected lot because most of the devices are upgraded to the latest version of OS. WhatsApp will stop supporting those running on Android 2.1 and Android 2.2, Windows Phone 7 and iPhone 3GS. The iPhones still having iOS 6 will also get affected. According to Google there are around 0.1 percent devices still running on Android Froyo. So the users whose phone still running on Ice-cream sandwich or Jelly Bean need not worry. There are around 8 percent Apple devices still running the older version of iOS that includes everything under iOS 9 and below. So the Apple users who are running iOS 6 need to worry for WhatsApp services and they have to upgrade the iOS. 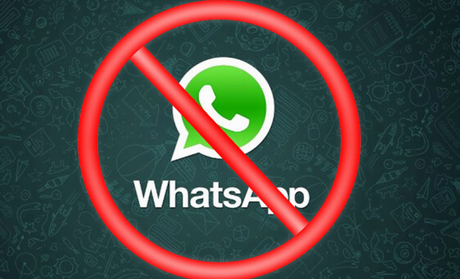 A big worry for the Windows 7 mobile users as it will be the end of WhatsApp services for them. WhatsApp has given relief to the users who has BlackBerry 10, Nokia S40, Symbian S60 and BBOS till June 2017.